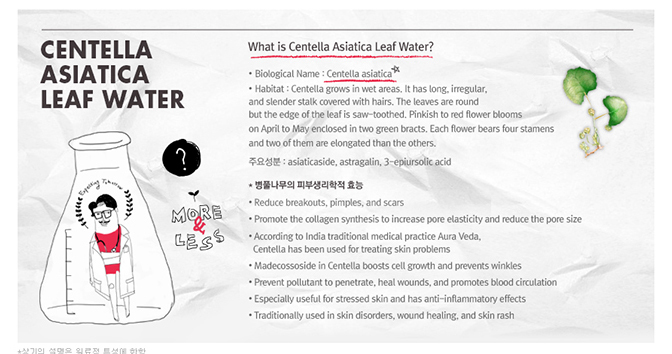 Centella Water Alcohol Free Toner contains Centella asiatica Leaf water based on mineral water to cultivate your skin, giving it transparence. Not only does it recover the lost functions of the skin, it treats your skin to realize moist and soft skin. 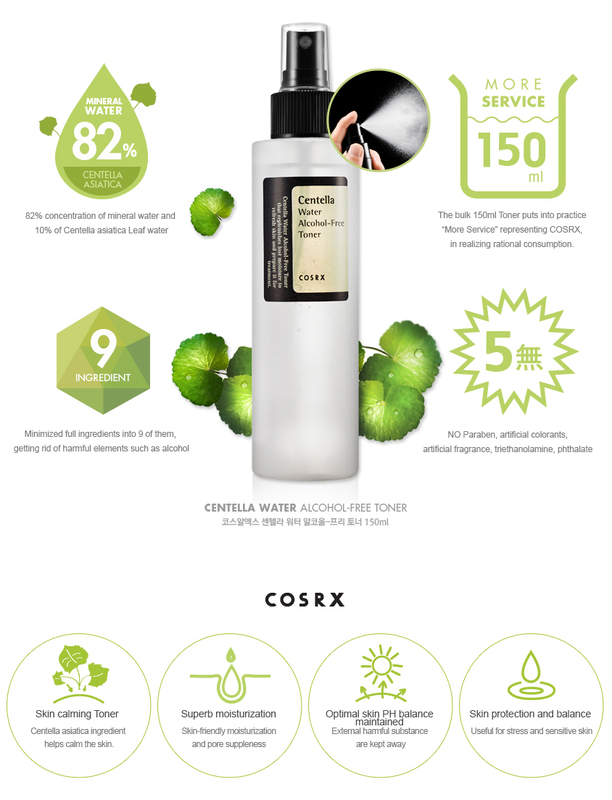 Centella Water Alcohol-Free Toner to restore, repair, and rejuvenate.